I happened to come across an advertisement of Lunacycle app on the television, and I instantly downloaded it to check on its functions. Here’s my review on this app. In Today world, most of our work is done on Smartphone, tabs or computer. This has made our day to day chores easy and manageable. Women whether working or a home maker, all of us are so much engaged in our daily tasks that we tend to forget a lot of important things in life. A modern superwoman manages everything between the pressure of work, home and kids and ends up neglecting her health, too busy to focus on her diet or even find time for a small workout!! Keeping a track of your menstrual cycle and ovulation is one of those hard to predict and hard to remember dates. Well now we have a reminder system on our smart phone for that. Yes, Lunacycle it is. I come across a lot of young women clients who have PCOS, and irregular cycles, and want to lose weight to be able to conceive. Lunacycle is a wonder app for them. many women these days who often complain of an erratic diet, which results in extra flab and obesity!! But most Women fail to understand the link between weight and menstrual cycles. The menstrual cycle may not directly impact weight loss or gain, but there are some secondary connections. 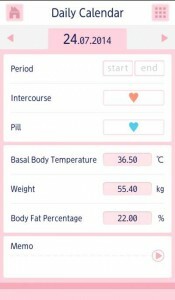 Lunacycle easily calculates the next expected period date along with your ovulation date. For all those women who want to conceive, and are really trying since a long time, knowing the right ovulation date is an advantage. Here are some screen shots for your reference to know how in a simple and easy to understand way it depicts your cycle. 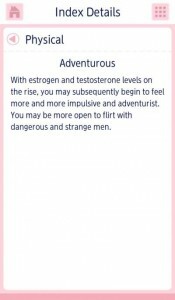 It Predicts your upcoming Period / Ovulation Date . Lunacycle Automatically calculates your period Cycle based on your last two cycle dates. Lunacycle also calculates your Weight, Body Fat and Symptom during your menstrual cycle. Lunacycle helps in skin care by giving valuable tips on how to do and what to do. 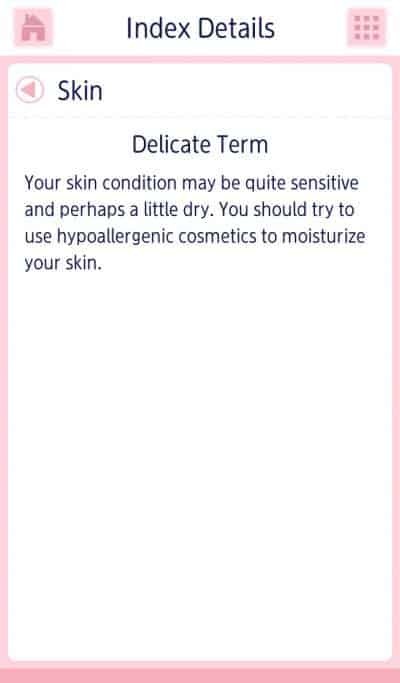 A lot of women experience skin breakouts and dryness and roughness during the cycle. Sometimes these breakout clear on their own as the cycle ends, but sometimes they continue to be there. Lunacycle can provide you with valuable tips for such incidences. Those women who are on a constant run to lose weight , would notice a sudden weight gain right before the cycle. Generally a women can gain 1- 3 kgs of weight just before the cycle. This weight is lost by the 5th day of the cycle. Lunacycle will help you by letting you know how to tackle that gained weight and how to tackle the bloated feeling during your cycles with effective diet tips. Lunacycle helps you by giving beauty tips too. Your beauty depends a lot on the hormonal levels inside the body. Lunacycle would help you by knowing what hormone is in more effect during that phase of your cycle, and how it can enhance your beauty. This will not only help you in understanding your body better, but also help you in looking beautiful. Lunacycle also helps by predicting how your moods going to be on that day based on the hormonal control on the body . 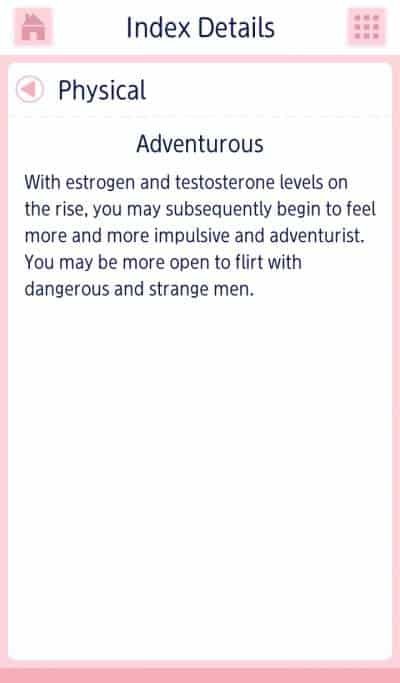 The added feature of this application is that, you can even share this information with your spouse or boyfriend, so that you aren’t questioned “are you on your periods” every time during a disagreement! What a relief right? So women up! Take control of your lives, be informed that your menstrual cycle maintains a delicate balance, so it’s good to be aware that gaining a large amount of weight or exercising excessively and losing a significant number of pounds, can impact your production of hormones Stay healthy, stay happy with Lunacycle! !Oh and yes like all good things, Lunacycle is free to use!! Thanks Payal for introducing this app. I will try it! Hey thanks Payal. This information & app will really help me. Hey Payal.. This is a wonderful app.. 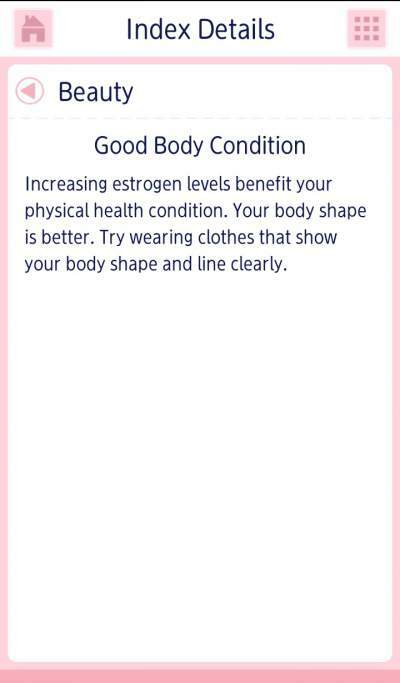 Thanks for sharing… Wanted to know that during periods there is a slight weight gain.. Which also gives you a bloated feeling..So do you recommend diet plans accordingly?? Thanks for reading at Dietburrp. Yes bloating before cycles is very common. we do prescribe diets accordingly. you can try taking barley and melon fruits to help with the bloating. Thanks a ton Payal for sharing such useful information. Will definitely give a try! This is really a very useful read. I personally like it as i myself have PCOS. I doubt that may the reason why i am unable to lose that extra weight even if i eat less. I have not been able to lose weight after pregnancy. Both my kids were through C section. 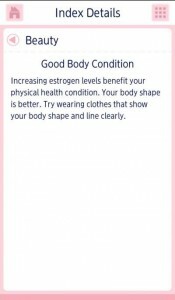 Do you recommend any tips which can help me with weight reduction and pcos?. yes they have removed it temporarily. Hii dear. I am not getting lunacycle app.. Please share link.. The app is no more active .